With over 3,148 skiable acres on three mountains, dozens of on an off mountain adventures as well as an array of dining experiences – how will you decide what to do? 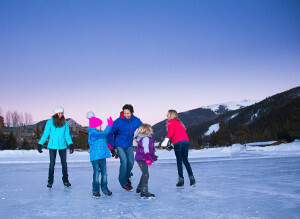 Follow The Keystone Adventure Guide to start planning your perfect winter vacation. Der Fondue Chessel is a fondue lover’s dream. It’s perfect as a cozy dinner for two or a fun group outing. You’ll start the night taking two separate gondolas up the mountain to the top of North Peak. Once there you’ll experience fondue and raclette style food that you’ll prepare yourself. All while being entertained by a Bavarian-style polka band. Chicken dance, anyone? This isn’t the kind of school you’ll want to play hooky from. 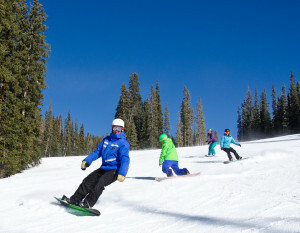 Keystone’s Ski and Ride School is staffed by expert coaches and designed to get you advancing to the next skill level. Work on your turns, perfect your mogul form or take that first step into A51. These classes will get you exploring new parts of the mountain and giving you a few more bragging rights. inning fun on this 5 acres lake complete with hockey rink and rental gear. Ahhh, nothing like some classic winter exploration to get the heart pumping or is that the actual exercise you’ll be doing. Learn a little, enjoy some views and burn a few calories when you take a cross country or snowshoe tour at the Keystone Nordic Center. Then reward yourself with a trip to the famous soup bistro. 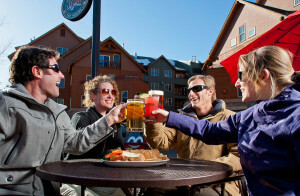 Keystone is home to the longest ski days in Colorado thanks to its night skiing program. Thank means, that on days night skiing is available you can ridge from 8:30am until 8:00pm. With 3,148 skiable acres you’ll have plenty of runs to explore. Are your legs up for the challenge. 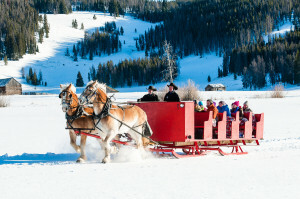 Keystone Resort offers a true western experience with its dinner sleigh ride. Hot chocolate in hand, you’ll travel through the serene and scenic expanse of Soda Creek pulled by teams of draft horses while under the warmth of wool blankets. Then you’ll arrive to a historic homestead era log cabins built in the early 1800’s, where a roaring fire and dinner fit for cowboys awaits. It’s the perfect adventure for your non-adventurers, if your legs need a break and if your stomach needs a treat. Keystone’s tubing hill is superior to everything else in 3 ways. 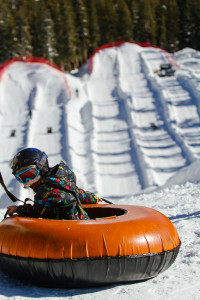 There’s all kinds of other reason’s why Keystone’s Tubing Hill at Adventure Point is the coolest thing in the world – like the staff who will spin you until you’re sill down the mountain, the disco tubing nights and joys of hearing your loved ones scream and laugh in terror all at once…but those are all details. Yep, there’s cat skiing at Keystone. 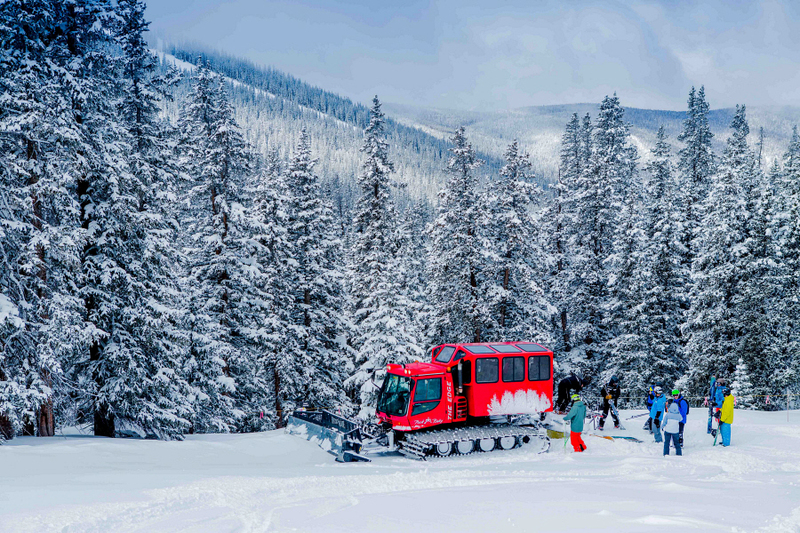 Keystone is home to one of the largest cat skiing operations in North America, covering Independence, Erickson and Bergman Bowls. Cat Ski Tours include a day of guided cat skiing and gourmet lunch and powder ski rentals for $255 per person. For those who want to test out Cat Skiing at a price that won’t break your piggy banks, Keystone offers the Outback Shuttle. The Outback Shuttle snow cat will pick you up at the Outback Bowls gate and drop you off at the top of the bowl for $10 per ride up. Your piggy banks are saved! 1.Skiing & Riding. It’s Pretty Amazing. Keystone has 3 mountains, 131 trails, 31 hike to trails 3,148 skiable acres and an amazing amount of terrain to explore for every level of skier and rider. It doesn’t matter if you are enjoying the fresh cord on a favorite groomer, ripping through moguls in The Outback or getting jiggy with it at A51 – exploring Keystone’s vast terrain is a good time. TIP: New to the mountain or looking to explore some new terrain? Download the EpicMix app and try out the EpicGuide function. It will suggest trails and terrain for you based off a few questions regarding ability level and how long you are planning to stay out.